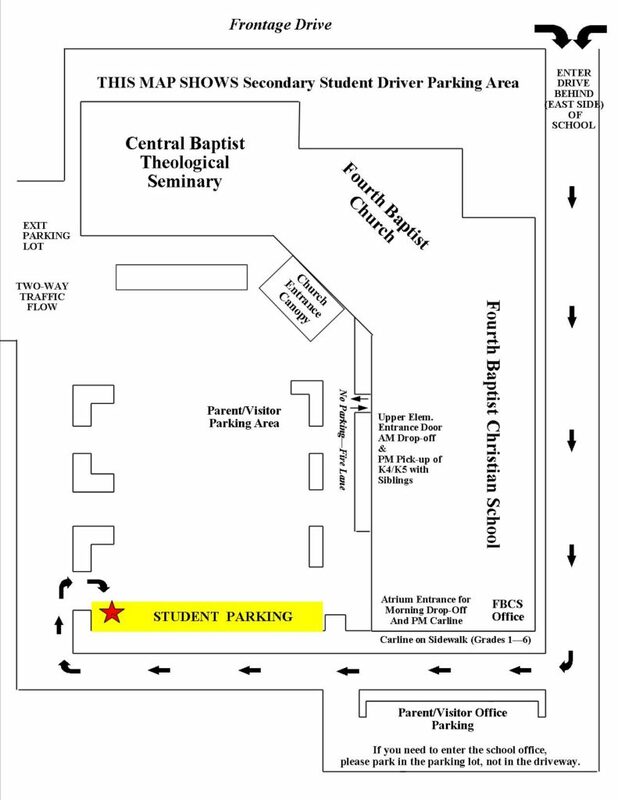 ABOVE: Traffic Flow Map for all arrivals before 8:15am, and ALL Secondary Student Drop-Offs at Atrium AND Afternoon CARLINE for everyone EXCEPT K4/K5 Students and their Siblings. 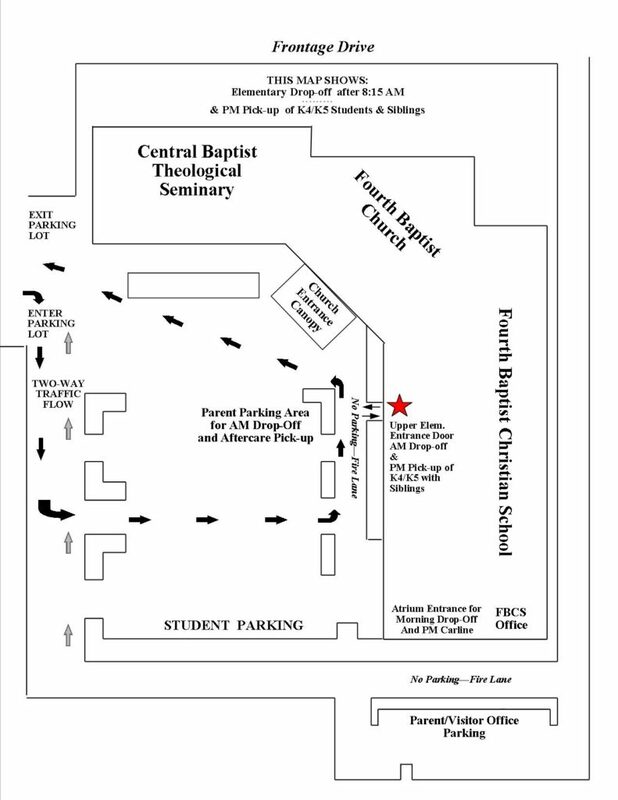 ABOVE: Traffic Flow Map for Elementary Drop-off at Elementary Entrance Door (from 8:15am – 8:35am) AND Afternoon pick-up for ALL K4/K5 Students and their Siblings. 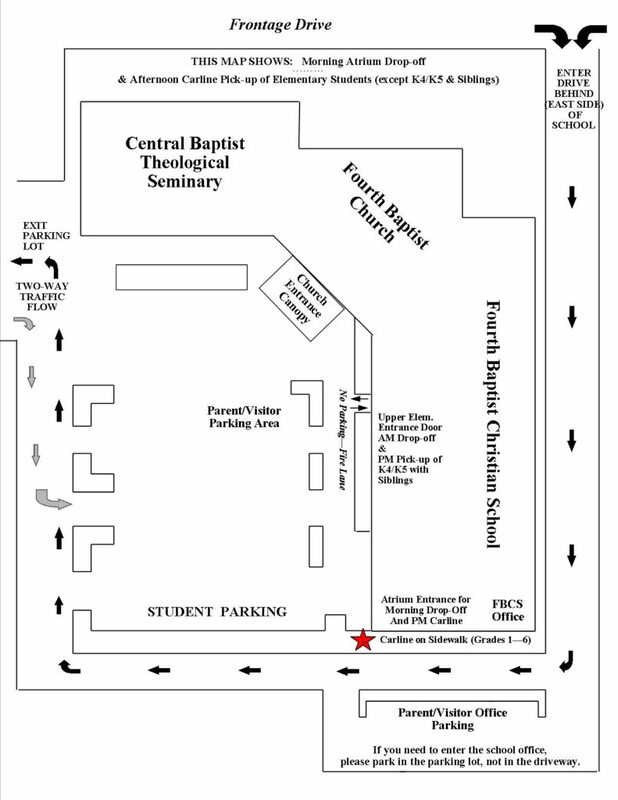 ABOVE: Traffic Flow Map for Student Drivers. Student Drivers are to exercise extreme caution driving on campus. Reckless Drivers can have their privileges revoked.